Almost every blog you visit these days will have some kind of page set up dedicated to a list of recommended tools and resources. If you’re scratching your head wondering what on earth I’m talking about, just head over to this page to view my tools and resources page. Alternatively, just keep on reading and I’ll explain in more detail what this page consists of as well as why you should create one. What is a tools and resources page? A tools and resources page is pretty much what the name suggests. A page consisting of a list of links to various online tools, apps, services, products, and even links to articles on other relevant websites that you want your readers to check out. 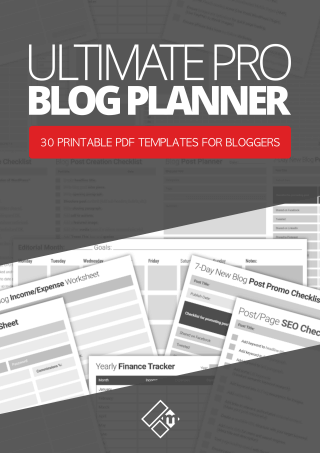 Some bloggers call this page a recommended tools page, a toolbox page, a get started page, but most just stick with calling it a tools and resources page. In a WordPress environment, most T&R pages are created using a static page and not a conventional blog post. These pages are then linked in the site’sprimary header navigation area, and sometimes the blog’s sidebar and various other pages. It can also be linked from native blog posts, and other external marketing content (More on this later). 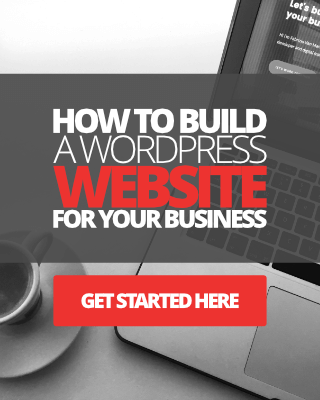 Having a tools and resources page is a great way for you to showcase, promote, and give praise to some of the products and services you love to use in your blog or online business. It’s also useful for your readers. Perhaps you’re using a particular list building tool or WordPress theme they can find on your T&R page. Perhaps you want to share the tools you’re using to create your podcast or online course. If there’s any tool you’re using in your business you want to shout about, the best place to showcase it is in your tools and resources page. 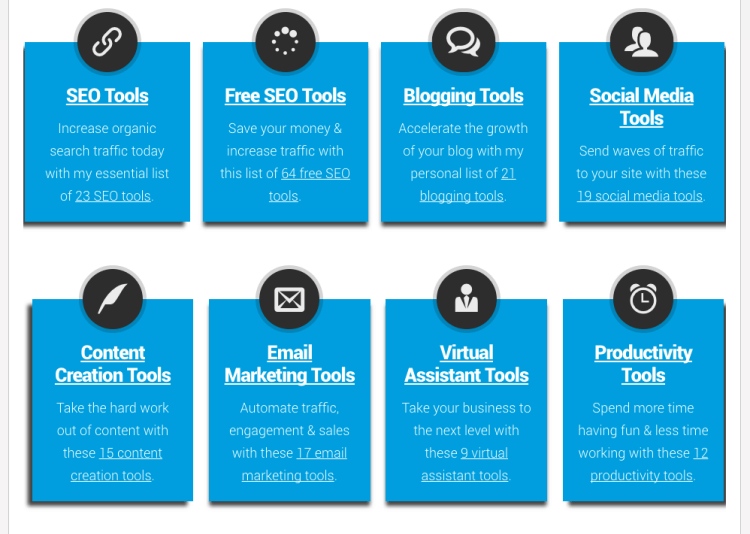 Your recommended tools page can also help you boost affiliate income, especially if you can drive a lot of traffic to it. Right, before we get started, here are some screen grabs of two very powerful tools and resources page I’d like to share. 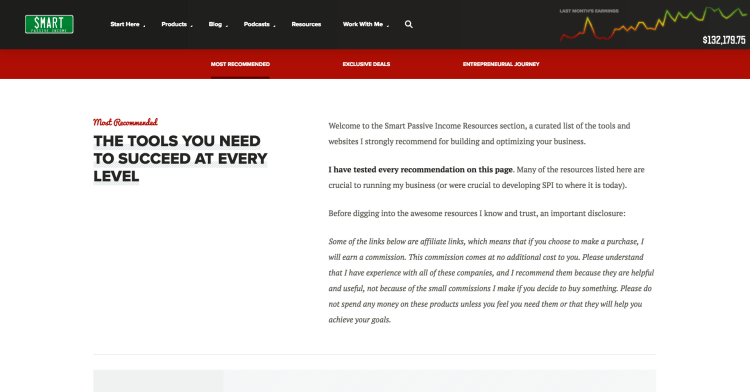 Pat Flynn’s recommendation page is a great example of a well-structured T&R page. Check it out here to get some inspiration for creating your own. I got a lot of inspiration from Pat’s page to design my own, by the way. The same with Matthew Woodward’s recommended page below. Matthew’s page is well organized into relevant categories, making it easier for users to find a specific tool for whatever purpose or goal. So now that you have a good idea as to what a tools and resources page actually is, let’s get started with creating one for your blog. Below, are some top tips, as well as advice and guidance for creating the best possible recommendation page for your website. As I mentioned earlier, most T&R pages are built using a static page and not a blog post. Reason for this is that you’re not likely to update your T&R page very often, and therefore it is a page that doesn’t require a date or time stamp added to it. Don’t just put everything on a page in no particular order and be done with it. Unless, of course, you don’t have many items to add at first. Think about your users, make it easy for them to find a particular tool. If you look at either of the two example recommended pages screen grabs I shared with you above, you’ll see that those site owners have used categories to organize their pages. Do exactly the same if you can, categorize your recommendations in order of relevance or importance. For instance: Web Hosting, WordPress Themes, List Building Tools, Social Media Tools, Training Courses, Books and Manuals etc. This is probably the golden rule for building any successful resources page, and for being an affiliate for the tools you’re recommending. Always try and recommend tools and services you’ve used yourself in your business, and therefore would like to endorse and recommend to your visitors. Never recommend something you’ve never tried or used yourself. Or something that you’re not entirely sure about. If you end up promoting or recommending something that turns out to be some kind of scam, you’ll be remembered for it and that can hurt your brand’s trust and reputation. Don’t just list your tools in a form of affiliate links and be done with it either. Write a short descriptions besides each of the tools you’re adding to your page. Let your readers know how long you’ve been using a tool or service for, why you’re using it and why you’re recommending it. If you have any relevant case study articles related to a tool you’re recommending, make sure you link to it. Do the same for any reviews you’ve written about it too. 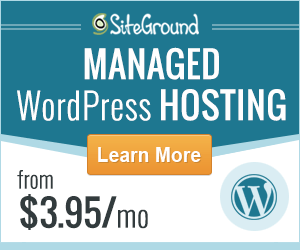 This will help boost your page authority as well as reinforce trust with your site visitors. One of my favourite tools for WordPress is the Thrive Themes Membership, as you may know. I’ve been using Thrive Membership tools since 2015 to build my business, and I always swear that I wouldn’t be successful in my business if it wasn’t for their tools. Share your experience and add value to your resources page/links. I know that one of the aims of creating a recommended tools page is to help you improve your blog’s revenue conversion rate, however, not all your links need to be affiliate links. Some links can point to useful books or guides and articles on the web you may have read. If you are linking to any affiliate products, apps or services, I recommend using a plugin like Better Links Pro. This is the plugin I use for masking and tracking my affiliate links performance. I’ve been using it since 2012. Once you’ve built your well-organized tools and resources page, it’s time to make it visible on your blog. It’s important that this page get’s seen guys, so don’t hide it amongst all the other pages on your website. The more visitors you can drive to this page, the better your conversion rates will be, right? Below you’ll find an un-exhausted list of things you can do to help promote your T&R page, drive traffic, and boost your affiliate income. Note: I would also recommend setting up some kind of conversion tracking goal inside of Google Analytics. Or, if you are using Thrive Architect to design your resource page like I have, why not do some simple A/B split testing? Link your tools page in the main navigational menu of your blog or website. 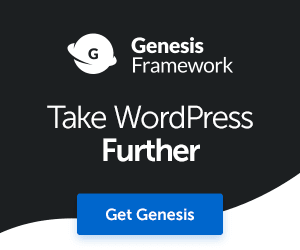 Create a custom banner graphic for your tools page, embed it with a link in your blog’s sidebar. Add a link in the footer section of your website or blog. Add native links inside your blog articles to your T&R page. Create a useful video version of your T&R page. Or a video intro to your tools page. Talk about the tools in more detail. Whenever you add new tools to your page, let your subscribers know about this update. Link from your case study articles, top traffic posts and pages. Create a PDF version of your tools and resources page for folks to download for free! So, there you have it, a step-by-step guide to creating a super awesome, conversion focused tools and resources page for your website. Plus, some simple tips for promoting it, driving traffic and boosting blog income. Are you motivated to get your tools and resources page rocking and rolling? Happy to be here again to read yet another informative post. Yes, though I use different kinds of tools for my daily activity in blogging i never thought of building a tools and resources page for my blog. I just visited your Tools and resources page, nice to read and know about the tools and resources you use in your blog. Happy New Year to you and thanks for stopping by, I appreciate it. A tools and resources page can be very powerful. Thanks for checking mine out, I am planning to update this page very soon, as there are many new tools I’ve discovered and using since I last updated it. My recommendation page is currently the 26th most visited page on my site each month, one of my goals is to get it in the top 10 at least. As for the pop-up, it’s on my list to eliminate it from the site. I already use a pop-up form on click in the sidebar and will have one in the footer shortly. Have a great rest of the week and I hope 2017 is full of success and good health for you mate. Fabrizio, a helpful article. I have been blogging for over two years now and have been severely procrastinating on creating a tools/resources page. Now that I have read your article, it is definitely going to happen very soon. Thanks for a valid reminder. You’re welcome mate, glad you enjoyed the article. I think a tools and resources page serves two valid purposes. It helps others find and discover what tools you’re using to ultimately find success online. And it helps the site to boost some additional income for the blogger. I think you should definitely create recommended page for your blog, then start driving some serious traffic to it. I need to get my tools and resource page sorted. I have an old page that I took off my menu, but I really need to get it back in action. Perhaps I should make it one of my SMART goals for 2017. You’re welcome mate. Definitely get your tools page back in top form. When I replied to Philip’s comment a few days ago, I planned to revamp mine, and I’m glad to say that I’ve now done that and it’s all updated for another year. I found that I had more visits to my tools and resources page when I had less options in my menu. Maybe that’s something you could try.